One of the best things about the Android software is the fact that there are so many customizable features and themes available. Some of them may be available on certain phones and some may be available through the Google Play Store embedded into different apps. You may sometimes want to change up the look of your phone if you are feeling bored, now if you have an iOS or any other software phone, you will see that you cannot change the basic layout until another, updated and latest version of the iOS software is introduced. However, with Android, this will not be a problem! If you ask me, this is one of the benefits of using an Android phone. You may have never thought that you should feel the need to change the keyboard on your Android mobile or tablet. To be honest, when you think about it, there is not probably any need to change it. The keyboard that was built-in your phone when you bought it is probably perfectly fine and usable. But then again, maybe it is not that useful and maybe it just is not the right keyboard for you. Of course, a keyboard may not be the most important thing that many people consider when they use their mobile phones, however, it actually is the most essential when considering the overall look and style of a phone. An ugly keyboard and even a keyboard that has only a few functions can really ruin the whole outlook of your mobile phone. Moreover, there is a whole world of keyboards available and the default keyboard that came on your mobile phone device when you first purchased it is probably not the most productive or even the prettiest keyboard out there. Plus, there are many, many options to choose from when searching for a keyboard. So, to help you get started on changing that old keyboard of yours, keep on reading to find out how to change your keyboard android. The first thing you should know before you begin to change your keyboard is that in order to do so you must first set up your phones input methods. There are some chances that your Android device already has a few pre-installed keyboard options available. If this is the case, then you probably do not have to install any new keyboard apps from the Google Play Store. ● And, finally, you must select the Language and Input file. After clicking on Language and Input, you will find the various keyboards that are already installed in your Android device. An important point to note is that the number of keyboards may vary according to the device that you have as well as according to the company that your device is made of. To begin the keyboard, all you must do is check the box connected to it and you are done! You can now use that keyboard whenever you use the typing feature. Similarly, if you ever wish to change back to your previous, default keyboard then you must follow the above steps and choose the Default button and then choose the input method that you wish. 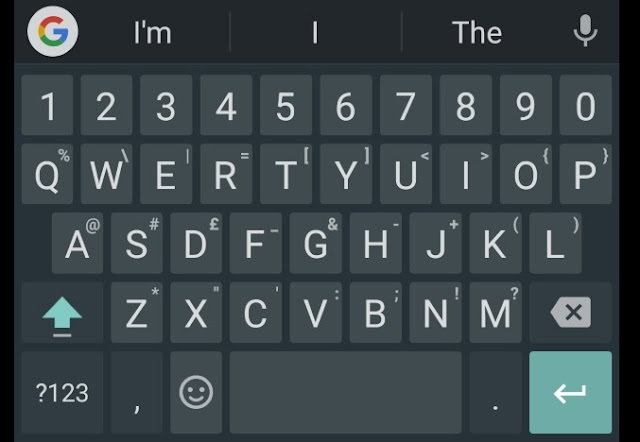 Another way you can change your Android phone’s keyboard is by switching it up while you type and are using the keyboard. This can be used even if you have changed up your keyboard before and now wish to re-change it to a new style or even change it back to the default keyboard. ● When you begin to type in the text box, you will notice a tiny icon of a keyboard in the upper corner of your notification bar. This keyboard icon indicates that you will now be able to change your input methods directly from the notification screen. ● Next, you must swipe down on the notification menu on your phone and then, click on Choose input method. By doing so, a menu will open up and show you all of the keyboards that you have enabled. ● Simply all you must do is click on the keyboard that you wish to use. The last thing you can try to get a new and improved keyboard for your android phone is to simply download a new one from the Google Play Store. By going on the Play Store, you will find many options both old and new that you can choose from. The benefit of completely downloading a new keyboard application is that you can choose from a very large variety of keyboards with various colors and designs. A lot of new keyboards also include extra features and tools that are very useful. In Conclusion, these are the various ways you will be able to change your keyboard in an Android device. It is always a good thing to change up the look of your phone, especially if you want to get a new phone and are currently unable to afford it, the best way to make it seem like you have a new phone is to change the keyboard and theme! By doing so, you will feel like you have gotten a new phone instantly and without any costs!